The next issue of B&G (the table of contents link is currently broken) will be a Franklin history and tour by Eric Jacobson. Considering the quality of the new issues and constantly changing states of site preservation, I always welcome revisits like this one. Cone: "LAST TO JOIN THE FIGHT: The 66th Georgia Infantry"
As author Daniel Cone notes in his preface to Last to Join the Fight: The 66th Georgia Infantry, Civil War regimental histories range from skeletal summaries only a few dozen pages in length to colossal tomes minutely detailing a unit's formation, roster, camp life, marches, and combat history. Cone's own study lies within the genre's vast middle ground, favoring an examination of the "quality and experience of the regiment's officers, the demographic composition of its ranks, and critiques of the postwar claims of its commander" (pg. 183) over recounting military exploits. Recruited and organized in the summer of 1863, the 66th Georgia was commanded by Colonel James C. Nisbet, who, having served as a junior officer in the eastern theater, was the most experienced man in the regiment. Cone's research into the background of the officers and NCOs discovered little that might inspire confidence in the unit's subsequent performance, Nesbit having failed in his mission to obtain a cadre of proven fighting men to built his command around. On the other hand, recruit numbers were not a problem. After an initial hiccup, through a combination of volunteering and conscription the 66th rapidly achieved full strength, with enough manpower left over to fill an extra battalion. According to Cone, the 66th Georgia did little to distinguish itself on the battlefields of the western theater. Like many of its early war compatriots, the Georgians began their service on extended garrison duty before being transferred to a more active front, in this case Chattanooga in the wake of the Confederate victory at Chickamauga. Lightly engaged there, the regiment did contribute to saving an artillery battery during the retreat. During the initial stages of the Atlanta Campaign, the 66th performed rear area duties at Resaca. At both Chattanooga (in repelling Sherman's command) and Resaca (in discouraging McPherson's attack), Nisbet would claim in his 1911 memoir Four Years on the Firing Line a prominent role for his command that Cone found not to be in accordance with the evidence. The first heavy casualties would be suffered at Peachtree Creek and the Battle of Atlanta, the July 22 fight also being where Nisbet was captured and lost for the duration. The 66th would be fortunate to suffer light losses, at least in killed and wounded, during Franklin and Nashville, before ending the war in North Carolina. Cone's descriptions of the specific role of the regiment in these campaigns and battles, especially after Atlanta, are very light on tactical detail. On the other hand, the author was blessed with a solid core of firsthand accounts to base his overall narrative on, from Colonel Nisbet's command perspective to the more ground level outlooks of men like Lieutenant William Ross, Sergeant James Crane, and Privates William Hunt and John Davis. Where the book really shines is in Cone's demographic study of the 66th as a case study of a late war regiment and how the findings compare with earlier Confederate volunteers. Cone's profile of an older, poorer Georgian recruit certainly contrasts sharply with the young, middle class volunteer of 1861 having more extensive family ties to slave ownership, but the author is really more interested in the contrasting his cohort with the second great wave of southerners entering the ranks, the 1862 group analyzed in Kenneth Noe's Reluctant Rebels (2010). Unlike early-war regiments, very few 66th Georgia companies came from specific counties, with the typical one comprised of recruits from all over the state. The majority of Nisbet's men came from Georgia's Plantation Belt and the average age was 30 (median 33), whereas the average age of the 1862 recruit was 26. Out of 517 men sampled, at least 242 were married, which is slightly less than Noe's 50% figure for later enlisting Confederates and probably having much to do with the high number of recruits (25% of the total) under 20 years of age. Between the two groups, the percentages of men involved in some aspect of farming were similar, 70% for the 66th Georgia to 74% for Noe's sample. When it came to non-farming occupations, up to one-third of later enlisting 1862 recruits supported themselves in another fashion while only 22% of Cone's group claimed so. When it came to wealth, 58% of Noe's Confederate subjects owned no property, while Cone estimates that perhaps three-fourths of 66th Georgia recruits were similarly impoverished. When it came to direct involvement with the institution of slavery (either by owning slaves outright or living in a slaveholding household), perhaps 25% of Cone's sample were thus connected versus 43% for Noe's earlier volunteers. Cone helpfully arranges some of this data into tables, but a pair of potentially useful appendices referenced in the text appear to have been misplaced completely. So, for Cone the "typical" 66th Georgia soldier was either a teenager or a 35-45 year old married farmer (with 4 children) from the Plantation Belt, of very limited means and perhaps owning one slave but more likely having no assets at all, human or otherwise. A common belief, then and now, pertaining to late war recruits is that they were less patriotic or willing to sacrifice than early volunteers, but Cone discovered no evidence from inside or outside the regiment that 66th Georgia desertion numbers were unusually high. On the other hand, the author was never able to find an adequate explanation for the extreme attrition experienced by the regiment once it entered active service. Suffering from very few combat casualties and disease deaths/discharges up to that point, the regiment was able to field less than 200 bayonets at Peachtree Creek. Undoubtedly, the high percentage of older recruits and teen soldiers likely physically compromised after being raised in want over the prior three years of war had something to do with it. Last to Join the Fight offers a very illustrative profile of the late-war Confederate recruit. Significant study of the men that followed the eager Boys of '61 -- who they were, why they volunteered, and how committed they were to the cause of the rebellion -- is a recent phenomenon, and Daniel Cone's detailed social profile of the officers and men of the 66th Georgia is an original and important contribution to the discussion. "The Civil War Diary of Gideon Welles, Lincoln's Secretary of the Navy: The Original Manuscript Edition"
Years ago, someone asked me if I knew anything about a new edition of the Gideon Welles diary. I didn't, but this summer 2014 release -- The Civil War Diary of Gideon Welles, Lincoln's Secretary of the Navy: The Original Manuscript Edition edited by William and Erica Gienapp (Univ of Ill Press) -- is surely just what that person was looking for. I don't know anything about this diary's publication history but this statement from the upcoming volume's description "In this new edition, William E. and Erica L. Gienapp have restored Welles’s original observations, gleaned from the manuscript diaries at the Library of Congress and freed from his many later revisions, so that the reader can experience what he wrote in the moment" seems to indicate that previously published versions (the 3-volume 1911 edition?) were contaminated by post-war editing. Rafuse: "MANASSAS: A Battlefield Guide"
Ethan Rafuse's Manassas: A Battlefield Guide is the first title since 2008 to appear from Nebraska's This Hallowed Ground series, which has proved to be an excellent alternative to the U.S. Army War College guides published by University Press of Kansas and Tennessee's stylistically similar brethren. Where the War College guides want the reader to view the battlefields primarily through the eyes of participants, the Hallowed Ground titles rely on authorial interpretation. Directions - driving and walking instructions to the stop (still no GPS coordinates). Orientation - tells the viewer where to face, while also pointing out key terrain features. What Happened - brief narrative of events that unfolded at or near the stop. Analysis (Optional) - further insight into the "why"s of what occurred in the preceding What Happened section, along with command decision evaluation. Vignette (Optional) - eyewitness accounts of events and/or personages involved. For Manassas, Rafuse does include unusually lengthy Vignette sections but they can be safely skipped if the visitor is pressed for time. Both the 1861 (FBR) and 1862 (SBR) battles are combined in the volume. The grounds associated with the most significant fighting are well covered: Stone Bridge, Matthew's Hill, Stone House, Henry Hill, Chinn Ridge, and Sudley Church for FBR and SBR's Brawner Farm, Railroad Cut, Groveton, Buck Hill, Warren's defeat, Chinn Ridge and Henry Hill. Rafuse designed the main tour to be completed in around eight hours, with minimal walking, but there are many excursions for those with more time available and ability to walk the ground. For FBR, the optional tours cover the campaign and Jackson's stand at Henry Hill, though the latter can scarcely be regarded as optional. Taking up a large part of the book, the SBR campaign excursion is even more extensive than the one for the 1861 battle, with stops at Cedar Mountain, the Rapidan River, Remington, Freeman's Ford, Jeffersonton, Bristoe Station, Mayfield Fort, and Thoroughfare Gap. A two-stop Chantilly side tour is also included. One thing among many the series does exceptionally well is provide just the right amount of informational depth. The What Happened and Analysis sections are detailed enough to foster meaningful tactical study yet brief enough for readers to feel that they're taking in the sensory experiences of the battlefield more than the pages of a book. Rafuse's text is also broad enough to provide new readers with a generally cohesive understanding of the campaign and battle. Appropriate to touring guide narrative, the author takes a largely neutral approach to the various controversies surrounding each battle, leaving the more adamant stances to the specialized monographs. With one appearing every few pages and appropriate in scale (regimental for FBR and mostly brigade for SBR), the maps in Manassas are very good at showing troop positions at each tour stop, their movements superimposed upon the modern landscape. The elevation contours are helpful, but one wishes that historical terrain features like tree lines could also have been included. This minor complaint aside, the maps are one of the best properties of the book, and the series as a whole. In contrast with similar publishing endeavors that suffer from cost cutting over time, the cartography in the This Hallowed Ground series has maintained, and in many ways steadily improved, its quality. One might argue that the Manassas battles merit separate treatment, but, given how much literal common ground exists between the two, a single volume seems entirely appropriate. Plus, visitors from afar will appreciate the ability to seamlessly kill two birds with one stone. Rafuse's Manassas ranks among the best tools for touring the Second Bull Run campaign and battlefield and for the first battle it is without peer among traditionally formatted guide books. 1. Scouting for Grant and Meade: The Reminiscences of Judson Knight, Chief of Scouts, Army of the Potomac edited by Peter G. Tsouras (Skyhorse Publishing, 2014). A prolific author probably best known for his alternate history works, Peter Tsouras here edits the memoir of Judson Knight, which was original published as a National Tribune serial. Knight began his Civil War service as a scout for Philip Kearny. Leaving the army due to illness after Antietam, Knight resumed his intelligence gathering activities for the Overland, Petersburg, and Appomattox campaigns. Including reminiscences from William Landegon and Anson Carney, the book is actually more than Knight's writings. In addition to inserting editor's notes and informational boxes within the main text, Tsouras also contributes source notes in the traditional format. 2. 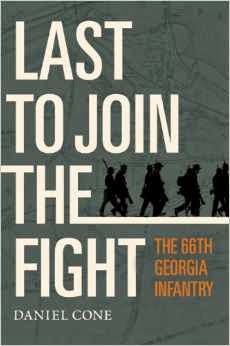 Last to Join the Fight: The 66th Georgia Infantry by Daniel Cone (Mercer UP, 2014). Organized during the summer of 1863, the 66th was a relative latecomer to the war, fighting in the 1864 Atlanta and Tennessee campaigns. It's commander, Colonel James Nisbet, published the 1911 memoir Four Years on the Firing Line but Cone's book is the first regimental history for this Army of Tennessee unit. A slim study, Last to Join the Fight is both a summary of the 66th's service as well as a demographic analysis of the men in its ranks. 1. I Do Wish This Cruel War Was Over: First-Person Accounts of Civil War Arkansas from the Arkansas Historical Quarterly edited by Mark K. Christ and Patrick G. Williams (Univ of Ark Pr, 2014). For over 70 years, AHQ has been publishing military and civilian letters, diaries, and memoirs from the Civil War. Selected for their relevance to the war within Arkansas's borders, this collection of pieces old and new benefits from Christ's own value-added annotations and transitional narrative. Looks like another winner for the T-M theater student. 2. No Turning Back: A Guide to the 1864 Overland Campaign, from the Wilderness to Cold Harbor, May 4 - June 13, 1864 by by Robert M. Dunkerly, Donald C. Pfanz & David R. Ruth (Savas Beatie, 2014). Like the other books in the Emerging Civil War series, this is a nice looking high-level touring guide. It covers a lot of geography, taking the reader from the Wilderness through the James River crossing. 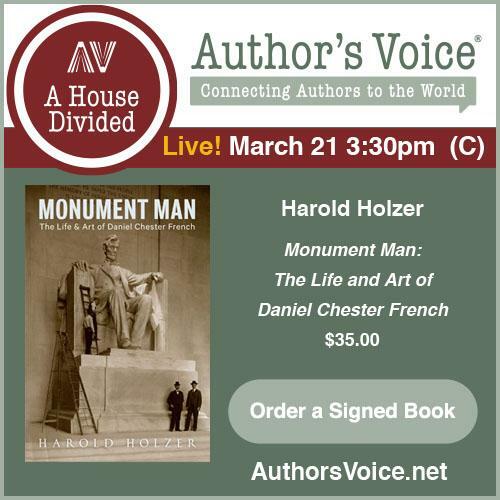 The authors have a strong professional connection to the campaign, with Pfanz spending much of his career at Fredericksburg & Spotsylvania NMP and Dunkerly and Ruth employed at Richmond NBP as park ranger and superintendent respectively. The promo sheet says 6 maps but there are 25 by my count. 3. The 72nd New York Infantry in the Civil War: A History and Roster by Rick Barram (McFarland, 2014). Part of the cool sounding Excelsior Brigade, the 72nd fought in many a bloody battle with the III Corps. The roster is a detailed compilation but the bibliography looks pretty limited overall. Geier, Scott & Babits, eds. : "FROM THESE HONORED DEAD: Historical Archaeology of the American Civil War"
Civil War battlefield archaeology can tell us a great deal. On the fields of battle, it can be used to determine where specific units fought, their positions, movements, tactics, and weapons used. The discipline has also contributed greatly to our knowledge of how fortifications of all types were designed, constructed, and used. The same is true for Civil War camps and bivouacs. The interpretation of the wealth of material culture objects found at these sites has significantly enhanced what we currently know about how soldiers lived and fought, and how the armies of which they were a part were supplied and maintained. Chapters covering all of these investigative themes and more are contained in From These Honored Dead: Historical Archaeology of the American Civil War, the latest collection of essays published by University of Florida Press. The content ranges widely in scope, from regional literature summaries all the way down to detailed technical analysis of findings at specific sites. Beginning with a recap of recent archaeological investigations of Civil War era battlefields and conflict sites within Missouri, Arkansas, Oklahoma, Kansas, Nebraska, Colorado, and New Mexico, the initial chapters have a strong Trans-Mississippi flavor. The three following essays take a closer look at the battles of Boonville, Palmito Ranch, and Centralia. Like the other sections in the book covering specific engagements, these chapters all provide historical context, raise specific questions that archaeological inquiry hopes to help answer, and briefly discuss findings and methodology. Most of the chapters are not too technical, easily followed by readers with little or no background in the discipline. The Boonville piece, a summary of a larger published report, demonstrates how important archaeology can be in discovering the locations of lines of battle, the sequence of fighting and where the most intense combat occurred, and the weaponry used. The team arrives at a controversial position questioning the long accepted wisdom that pro-Confederate units fought largely with civilian firearms in the early period of the war. The work at the 1864 battle site near Centralia offers insight into the anatomy of a perfectly constructed ambush of regular forces by experienced guerrillas, where once again artifact discovery and interpretation using metal detecting methods pioneered during the famous Little Big Horn survey from the 1980s were used to reconstruct events. To the east, an exploration of two Shenandoah Valley battlefields demonstrates the value of archaeology as an important tool in reconciling conflicting eyewitness accounts of events or even guiding research in a direction not previously mentioned in any documented source. Many authors in this compilation offer persuasive arguments for using U.S. Army field manual tools (ex. METT-T and KOCOA) for identifying key terrain, the attendant focus on which increases the likelihood of useful artifact discovery within the time and funding constraints inherent to most endeavors. Another major section of the book concerns itself with the multi-disciplinary approach to the archaeological and historical interpretation of military bivouacs and camps, noting the differences in site layout, material culture, environmental impact, and level of local disruption involved when troops were present in an area briefly versus long term. One chapter involves the successful location of Wesley Merritt's Cedar Creek cavalry camp, its artifact collection offering insights into the material culture of Union cavalrymen and their horses, as well as tracing the actual plan of the camp with a view toward comparing regulations with actual practice. A more permanent and great deal larger Army of Northern Virginia encampment is the subject of another article, the emphasis being on the impact of the camp on civilian (free and enslaved) life, livelihood and property. The final essay in this section is a case study of a Civil War bivouac (in this case, one made by the 14th Connecticut during the Mine Run Campaign), its abundant artifact yield vastly different in nature from those discovered at long term camp sites. These findings allow useful comparisons to be made between material cultures of soldiers in camp and on campaign. They also provide a model to be applied to future site studies where the history of events is less well known. Another trio of chapters (on Camp Nelson's Fort Putnam, Confederate Battery 1 at Quantico, Virginia and a CSA battery position along the Apalachicola River in NW Florida) focuses on earthwork defenses, clearly demonstrating the usefulness of archaeological methods in mapping the precise location and extent of fortifications, as well as in offering important clues in how they were constructed. The final essay follows the "myth busting" impacts of two studies (at Resaca, Georgia and Blountsville, Tennessee), their archaeological findings contrasting sharply with local historical lore. While the piece demonstrates well the challenges of pitting new discoveries against entrenched individual and institutional beliefs, it ends with a wise note of caution to investigating teams of the need to be wary of creating their own myths from limited physical evidence. An important theme throughout the book is the critical importance of metal detecting equipment and expertise to modern military archaeology. Frowned upon by previous generations, it is now regarded as an essential part of any project. Professional archaeologists have also come to value the collaboration of avocational metal detectionists, many of whom possess extensive site knowledge and technical expertise. After finding high artifact yields in ground widely thought to have been completely picked over by relic hunters, many contributors to the volume also caution colleagues against buying into the widespread belief of "hunted-out" sites. This book and others like it together comprise a deeply persuasive argument for increased partnership in Civil War studies between archaeologists and practitioners of traditional documentary history. With archaeological work absent from most Civil War bibliographies, such inter-disciplinary collaboration continues to be undervalued. There exists a long list of good reasons, many of which can be found in the pages of this book, why this should change. "The Siege of Lexington, Missouri"
The 1861 Lexington Campaign was one of the largest scale military operations in the state of Missouri yet it has heretofore lacked a full treatment. Articles have been written, as well as a pair of spiral bound booklets by Michael Gillespie (apparently a 2nd edition was put out in 2007) and Kevin Tilly, but Larry Wood's The Siege of Lexington, Missouri: The Battle of the Hemp Bales will be the first book to appear. A late spring release, it will be a part of The History Press's Civil War Sesquicentennial series, to which Wood has contributed books about the two Newtonia battles and Civil War Springfield. I heard from Gillespie many years ago that he was working on converting his own Lexington work into a full blown book study but haven't had an update for that project in a long time. New edition of "Thunder in Arcadia Valley"
Southeast Missouri State University Press is publishing (this year?) 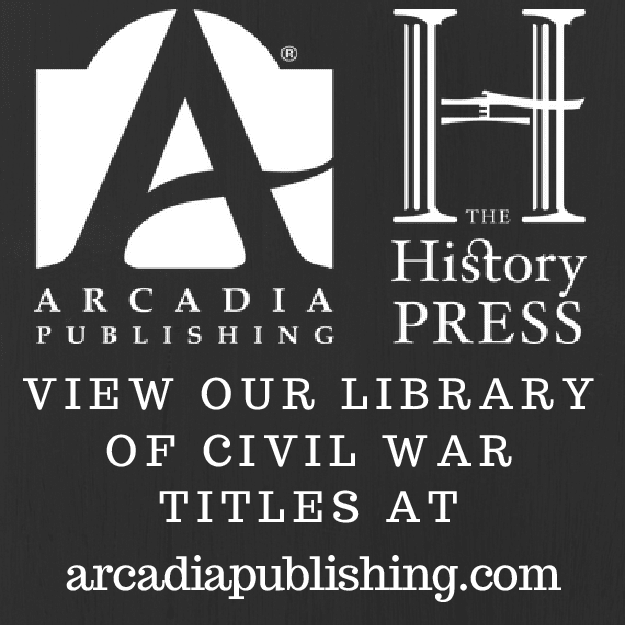 a revised and expanded edition of Bryce Suderow's fine history of the early stages of the 1864 Price Raid and the Battle of Pilot Knob -- Thunder in Arcadia Valley, with new research and material contributed by co-author Scott House. This project has been in the works for a long time and it's great to finally get some solid public indication that it will see the light of day. Ramold: "ACROSS THE DIVIDE: Union Soldiers View the Northern Home Front"
During the early months of the Civil War, citizen-soldier attitudes toward the war and how it should be fought closely matched those of their civilian counterparts. However, as the war dragged on with no end in sight, significant cracks in the façade of military-home front solidarity appeared. It is this oft contentious relationship between two fronts of a common war that is the subject of Steven Ramold’s Across the Divide. Perhaps the most immediate issue that arose was a new gender dynamic. Male heads of household, used to the roles of provider and decision-maker, now found themselves physically and authoritatively separated from home. With spotty communications and army pay often 6-9 months in arrears, feelings of powerlessness and failure were common. Fulfilling the traditional male position in society did not work long distance and wives were forced to pick up the slack. The book offers numerous examples of how this abrupt hierarchical shift in homes across the North led to frustration on both sides of the “divide”. Another source of friction between soldiers and the home front was emancipation. Insulated civilians often kept their antebellum views of slavery, but many soldiers at the front, exposed directly to the institution’s horrors and having personal contact with helpful slaves, quickly moved to support emancipation as war aim and/or moral necessity. Obviously, soldier attitudes ran the entire gamut between abolitionist and anti-abolitionist, but according to Ramold there existed a vast middle ground of opinion (which he terms the emancipationist view) that came to recognize the need to end slavery but at the same time was unwilling to grant ex-slaves the rights of full citizenship. 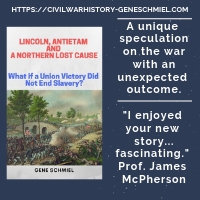 The book suggests, with good evidence within its pages and elsewhere, that most soldiers came to believe from mid-war onward that civilians who did not at least support the emancipationist viewpoint to be de facto Confederate sympathizers. Conscription was another key source of conflict. The vast majority of soldiers supported the draft, but the home front was deeply, and often violently, divided on the subject. Many groups, chief among them anti-war Democrats, opposed the draft on legal and moral grounds. Soldiers, on the other hand, had no sympathy for those back home unwilling to join the fight. Ramold documents several draft riots, finding that soldiers restoring order in the rear expressed little reluctance toward firing live rounds into demonstrators. The author is persuasive in arguing that conscription as implemented by the North could be thought of as a policy blunder. In return for only a small manpower increase, the relationship and trust between the populace and the federal government was gravely harmed at a vital time in the prosecution of the war. On the other side of the coin, the fact that large numbers of men enlisted under the threat of conscription is undervalued in this argument. The anti-war movement in the North rivaled conscription in terms of creating soldier-civilian animosity. The evidence does seem to suggest that relatively few soldiers bothered differentiating between War Democrats, Peace Democrats, and the most extreme form of the latter – the “Copperheads," instead viewing all Democrats as enemies. Many on the home front felt the same way, and Republicans exploited this distorted perception of reality by exaggerating for their own partisan gain the influences of Copperheads and secret societies like the Knights of the Golden Circle. Though the belief that Copperheads comprised a serious threat to the Union war effort has received something of an upsurge in scholarly support recently (most popularly expressed in the work of Jennifer Weber), Ramold holds to the more traditional view of the anti-war movement as a “decentralized and ineffective political force” (pg. 142). The final major source of division examined in the book is the 1864 election, with the soldiers as a whole determined to believe it the duty of everyone to support Lincoln’s reelection. To them, anything else would render the sacrifice of the preceding four years meaningless. The most transparent flaw in the book is the high number of typos, but the methodology of the project is also not really designed to collect the depth and kind of evidence that might impart inescapable answers to big questions. While readers familiar with the publications referenced in the notes will agree with many aspects of Ramold's synthesis, it is difficult to dismiss the essentially anecdotal nature of the first-hand evidence presented in the form of individual quotations, with most undoubtedly chosen for their pithiness. Readers should be reminded that this is not a representative sample of northern opinion organized on the scale or statistical significance of, for example, the database created by Joseph Glatthaar for his celebrated social history of the Army of Northern Virginia. 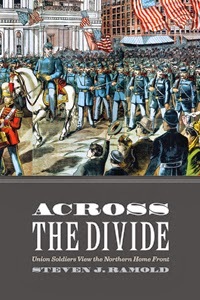 Nevertheless, Across the Divide is a useful book that powerfully outlines the multitude of societal issues behind northern military-civilian disharmony during the Civil War, with conclusions that may not convince all readers but at least are reasonable interpretations of the existing literature. 1. The Civil War: The Final Year Told by Those Who Lived It edited by Aaron Sheehan-Dean (The Library of America, 2014). Its material selected and annotated by Sheehan-Dean, this is the last of a four-volume set of Library of America sponsored collections of edited firsthand accounts from the Civil War. In late summer, the books will be re-released as a boxed set with color McElfresh map posters. 2. Gettysburg Religion: Refinement, Diversity, and Race in the Antebellum and Civil War Border North by Steve Longenecker (Fordham UP, 2014). Religious practices in Gettysburg are studied, using the three themes of the subtitle: refinement (in both the spiritual and physical senses), diversity of religious expression, and race. The author argues that Border North towns like Gettysburg were at the forefront of emerging national trends. "Soldiers in the Army of Freedom"
Given the current level of interest, especially among professional historians, it is surprising how few regimental histories of black units are being published. Part of the same Campaigns and Commanders series as the book mentioned in the previous post, Ian Spurgeon's Soldiers in the Army of Freedom: The 1st Kansas Colored, the Civil War's First African American Combat Unit takes on a group of soldiers who were pioneers in the Union army's testing of black troops in fighting roles. Spurgeon is also the author of a good treatment of the political career of Jim Lane [my review], who was an early supporter of raising black troops for the Union war effort. "The Early Morning of War"
I was wondering if the Sesquicentennial would produce another First Bull Run history. Well, it's better late than never with Edward Longacre's The Early Morning of War: Bull Run, 1861 . I can't say any of the author's books are among my favorites, but Oklahoma's Campaigns and Commanders series, of which this will be a part, is a good one. With this and the Rafuse guide the year is getting better for you, Harry. Maybe. 1. The Petersburg Campaign: The Western Front Battles, September 1864 - April 1865, Volume 2 by Edwin C. Bearss with Bryce Suderow (Savas Beatie, 2014). The first volume (my review here) of classic Bearss articles took the reader from the initial assaults through Ream's Station, while the second book moves to the later western flank operations [Peebles' Farm, Burgess Mill, Hatcher's Run, Fort Stedman, Five Forks, and the decisive VI Corps breakthrough]. There are 25 original George Skoch maps to go with the text. 2. William S. Rosecrans and the Union Victory: A Civil War Biography by David G. Moore (McFarland, 2014). It's been a long time since Lamers's The Edge of Glory first appeared in print, so Old Rosey is due for another biography. With only the briefest of chapters covering his life before and after the Civil War, this would classify as a military biography more than a "full" treatment. 3. "Death does seem to have all he can attend to": The Civil War Diary of an Andersonville Survivor edited by Ronald G. Watson (McFarland, 2014). Hitchcock fought in both the western and eastern theaters with the 21st Massachusetts. Though the Andersonville portion of his diary (Hitchcock was captured at Cold Harbor) will undoubtedly interest many readers, with not much published about Burnside's invasion of East Tennessee, I would be more interested in the larger portion of the book devoted to 1863 activities in East Kentucky and the Knoxville Expedition. University of Georgia Press just announced a new book series New Perspectives on the Civil War with historian Judkin Browning as general editor. Differentiating itself a bit from the UT Press's venerable and military focused Voices of the Civil War, it's "dedicated to the publication of primary sources of the Civil War era from a wide diversity of perspectives—respecting the soldier’s voice, but not privileging it over every other voice". Uniquely, all the titles will also have a digital component of some kind designed for classroom use. 1. The River Was Dyed with Blood: Nathan Bedford Forrest & Fort Pillow by Brian Steel Wills (Univ of Okla Pr, 2014). For one reason or another, none of the published Fort Pillow histories have proven entirely satisfactory (to me, anyway). Maybe Wills's study, which examines the subject from a multitude of angles in a compact 200 page narrative, will be the best yet. 2. 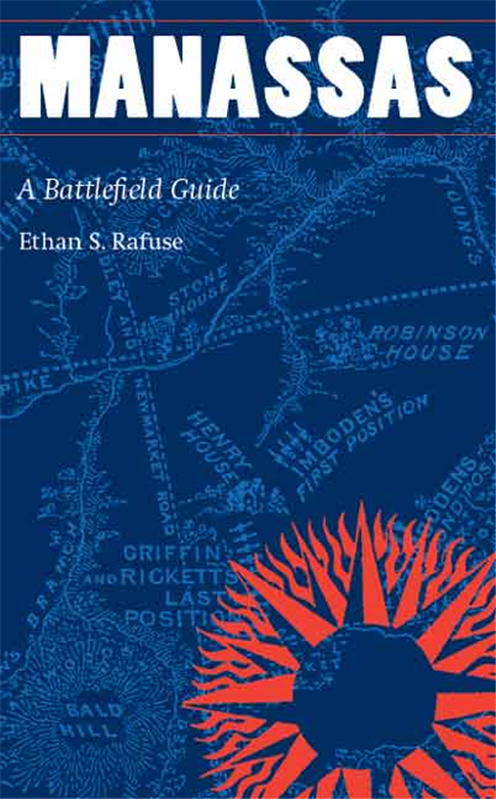 Manassas: A Battlefield Guide by Ethan Rafuse (Univ of Neb Pr, 2014). Both major battles are the focus of this guide, with numerous additional side trips to sites associated with the campaigns but located outside park limits, including a Chantilly "excursion." 3. Battles and Massacres on the Southwestern Frontier: Historical and Archaeological Perspectives edited by Ronald K. Wetherington and Frances Levine (Univ of Okla Pr, 2014). This is a collection of essays comparing the historical narratives of four mid-nineteenth century killing grounds in the Southwest -- Cieneguilla, Adobe Walls, Sand Creek, and Mountain Meadows -- with the physical findings of modern archaeology.